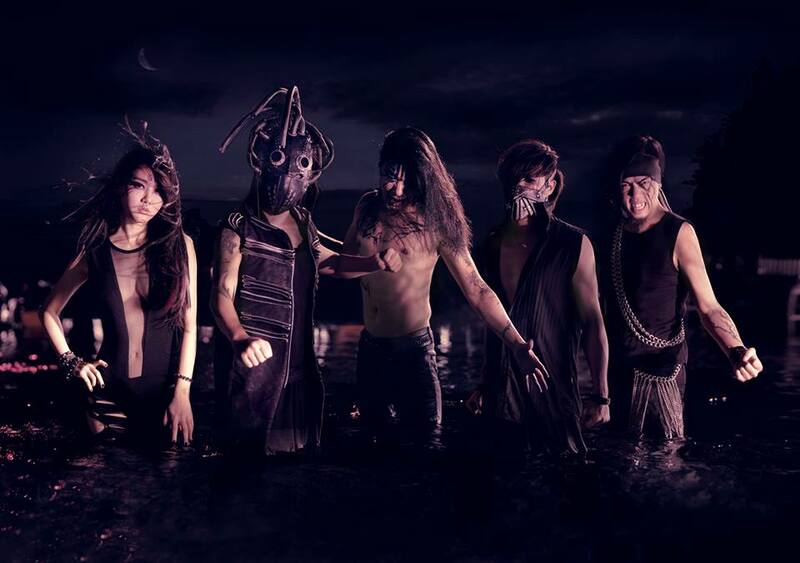 Taiwanese avant metal ensemble, CHTHONIC, are readying to kick off a massive European trek supporting Norwegian metal titans, Satyricon. 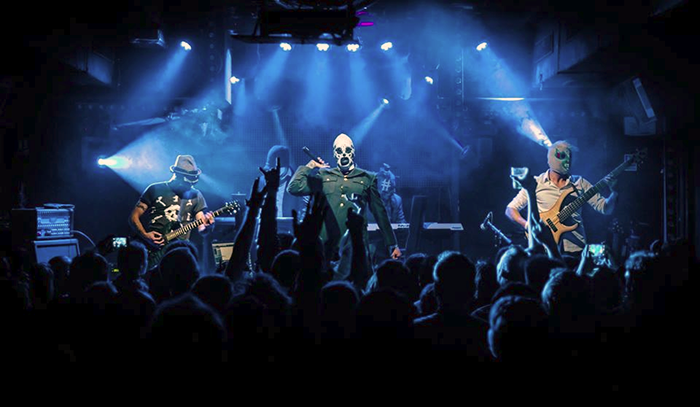 Slated to begin on November 7th in Copenhagen, the extensive journey marks the band’s first performances on European soil since the release of their latest studio album, Bú-Tik, and will also mark their first-ever shows in Denmark, Sweden, Poland, Spain, Italy, Slovakia, Slovenia, and Luxembourg! Meanwhile, CHTHONIC have also been nominated for seven Golden Indie Music Awards, including best album, best band, best performance, and best musician. CHTHONIC will depart for their European quest following their participation in the award ceremony. 11/30/2013 Exit Chmelnice – Prague, Czech Rep.
CHTHONIC released their seventh studio recording, Bú-Tik,in North America via Spinefarm Records US on June 25, 2013. Bú-Tik was recorded at Sweden’s Sweetspot Studio by producer Rickard Bengtson, who also worked on 2011’s critically lauded Takasago Army full-length. Called “a masterful and elegant tradition served underneath soaring thrash-influenced guitars, pummeling drums and a vocal performance that is absolutely stellar from an overlooked vocalist,” by About.com, Bú-Tik is centered around the story of the 228 Massacre, the Bú-Tik Palace and the Mirror Of Retribution, and highlights what bassist Doris Yeh describes as “righteous violence, justifiable defense, and the armed spirits.” The cover image depicts the fighting spirit of a girl with albinism. To order, Bú-Tik point your browser HERE. “Hi friends. We are saddened to report that our house in west Baltimore city was burglarized between 1pm-3pm on Wednesday May 29, and almost everything that we use to make our art was stolen. This is the latest and most complete version of our missing stuff (including some serial numbers where we could find them). If you see any of these items please contact us atwww.darsombra.com. 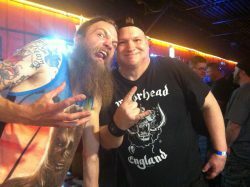 Following releases on At A Loss, Public Guilt, Underradar and others, DARSOMBRA signed with Exile On Mainstream for the release of Climax Community. The three tracks on the LP traversing forty-five minutes of the outfit’s unique, slow-building, organic transcendental rock. 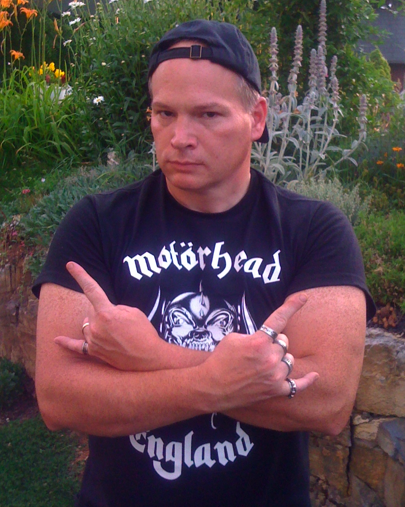 Brian Daniloski, a veteran of heavier, sludgier, grittier rock bands such as Meatjack and Trephine, controls the sound of DARSOMBRA, alternating between mammoth vocal swells and soundscapes and searing guitar riffs, leads, loops, and samples, combining elements of metal, psychedelic rock, experimental/drone, prog and krautrock. But there is more than just Daniloski’s sonic world at play here as video artist Ann Everton takes his work to the next level by bringing her DARSOMBRA induced visions to the stage through her kinetic psychotropic video projections, creating a constantly shifting backdrop to Daniloski’s live performances. “The larger movements of the songs rub against each other with tectonic weight, while subtler elements attack, defeat and consume. Strange and lovely, Climax Community speaks in the language of animal instinct.” – Exclaim! Stone Says: This story is absolutely stunning, in a very sad way. This is one terrible act of unkindness, a downright act of human indecency towards our fellow-man. I truly hope DARSOMBRA locates any or all of their precious musical/visual equipment. I urge DARSOMBRA to start a Kickstarter campaign to recoup their means for their livelihood as well. 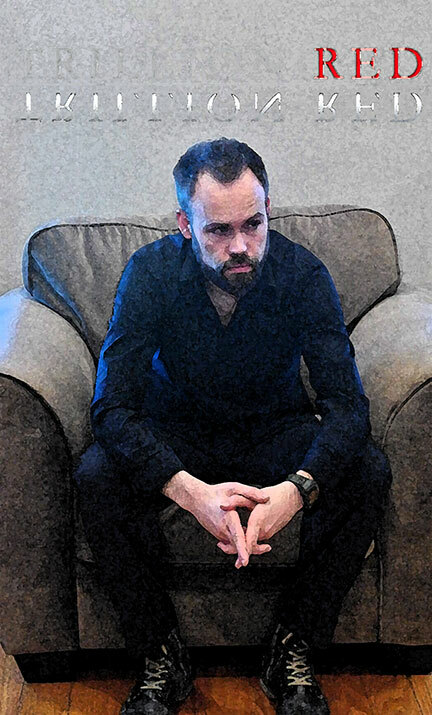 Taking his cerebral brand of auditory darkness to a new level, Trillion Red mastermind Patrick Brown is one of metal’s few musicians who can legitimately claim to have discovered new musical territory with his newest creation. Metaphere is available for pre-order at http://badgodmusic.com/ and http://badgodmusic.bandcamp.com/album/metaphere. If it is singularity, the tried, and tested, or just bizarre that you want, don’t bother looking any further. However, if you yearn for ‘new’ and ‘engaging’, something that antagonizes and simultaneously calms the soul-this LP is for you. Metaphere is Trillion Red’s debut full-length after last year’s Two Tongues EP. This LP mightily sheds ‘the disconnects’ of Two Tongues, and unleashes a united and firm mark onto the Dark Progressive Avant-Garde Metal sound. It showcases the enormous leap Patrick has taken in creating soundscapes that alternate between heavy and hammering structures, to ambient interludes that all come together to create a twisted musical abstract. 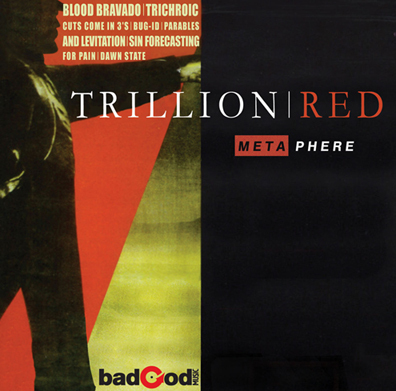 Trillion Red is firmly rooted both thematically and musically in the radical emotions of the human experience. Despite the existential and intangible subject matter, the struggle between darkness and light is the core concept throughout Metaphere, something which everyone can relate and derive inspiration. This to be enjoyed and savored as a boundless experience that flows seamlessly from beginning to end. Take further passes, and time after time, your ears will gain further insight to what is being said. With a passion to create a new and inspirational musical experience, Trillion Red exceeds expectations with the release of Metaphere. Close your eyes and let your ears tell the story. * For more info on TRILLION RED, visit the links below! 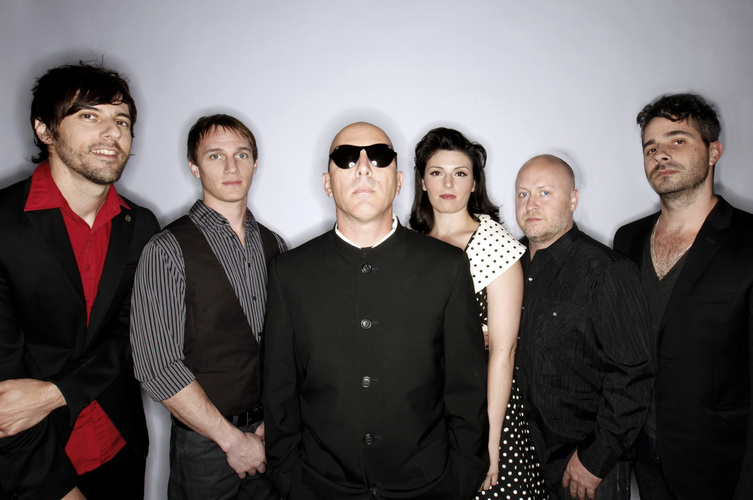 Jerome, Ariz., Jan. 23, 2012 — Puscifer, the eclectic music-meets-comedy troupe helmed by Maynard James Keenan (Tool, A Perfect Circle), will perform on Jimmy Kimmel Live on Feb. 16. The second leg of the band’s North American tour kicks off on Feb. 23 at The Long Center for the Performing Arts in Austin, Tex. Tickets for all shows are on-sale now at venue box offices and via Ticketmaster and Live Nation’s websites. The Mar. 17 Riverside, Calif. performance at Fox Performing Arts Center is on-sale this Friday, Jan. 27. A limited number of VIP packages, featuring wine tastings and VIP experiences are available via http://puscifer.frontgatetickets.com. Audience tickets for the band’s Jimmy Kimmel Live performance are available on Thursday, Jan. 26 via http://www.1iota.com. Puscifer’s touring band members are: Maynard James Keenan, Mat Mitchell, Josh Eustis, Carina Round, Matt McJunkins and Jeff Friedl. 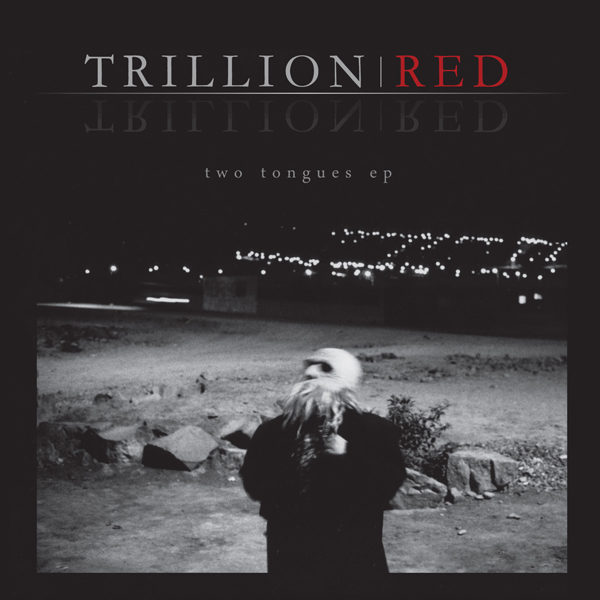 TRILLION RED – Comprised of 4 songs, this Trillion Red (debut self-released) two tongues ep combines all the dark ambience, progressiveness and flirtations with Extreme Metal that this Metalhead could wish for. 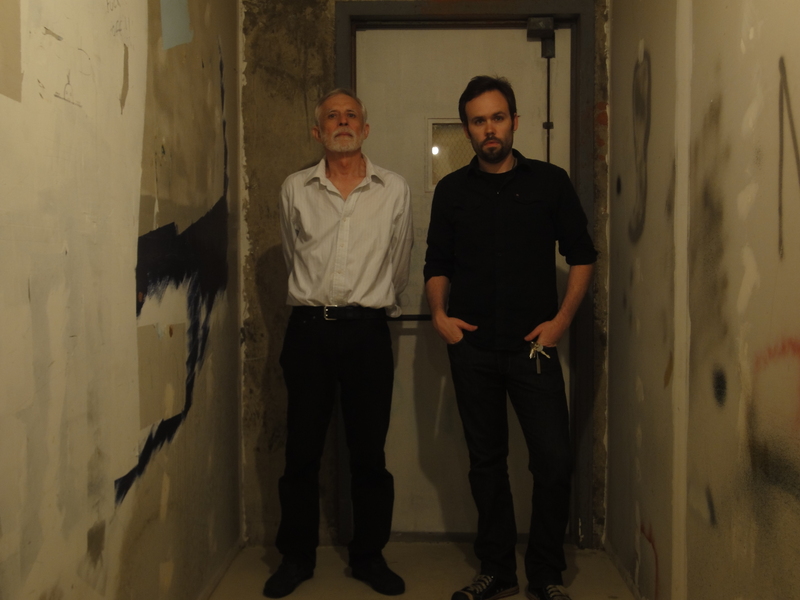 The duo of Patrick Brown (vocals, guitar, bass, keyboards) and Max Woodside (drums) from San Francisco, have formulated quite an exquisite Metal sound and style that is as sinister as it is ambient. While I listened to these songs the first several times, I let my Metal mind journey afar to experience where it would go. I kept envisioning a trek to the center of the Earth, just a few blocks from the gates of Hell itself, discovering what Metal would sound like when it’s created there. I’m not kidding around. Music is supposed to take you places, so if my Metal minds eye has me trotting about somewhere in Middle Earth due to Trillion Red’s dark wall of Metal sound, so be it. Metal be thy name. As a Metal bonus, there are Metal genres that scream out through the songs on two tongues ep: Stoner and Doom chugging make it’s presence heard on Lullaby. Creepy and atmospherically macabre, Lullaby is not to be confused for a song that let’s the sun shine in while sugar plums dance in your head. The opening track No Visible Help (Hold Tight!) is carried by thumping Metal bass grooves and retrospective guitar tones and riffs that should make Tony Iommi proud. Patrick’s intro vocals on this song indicates to me, an admirable taste for Black Metal. Forging Two Tongues / A Reckoning has Patrick summoning up the spirit of Jim Morrison in his vocal tone, with a poetic vibe in his calmer verses. Oh, can Patrick switch vocal gears however, giving this song it’s maniacal beauty with his Extreme vocal range. The coda of this song only solidifies my feelings of being a few blocks from the gates of Hell too… whoa. Right Over To The Helm begins innocently enough with a slow tempo of Stoner fused with psychedelic sound, while Patrick takes a deliberate and eloquent approach to singing, with a near spoken word. At nearly the mid-point, the tempo picks up quickly and shades of psychedelia smothered in Metallic froth boils over. Trillion Red is not delivering the same old here, they are delivering an ambient horn of plenty and I’m listening. Hell yeah I am. Musically as a whole, Patrick displays his keen talents of being a multi-instrumentalist, while Max is downright good and very cool to take in on drums. A “less is more” style to Max’s drumming fits right into these songs. Songwriting is a plus here, while the layering of all 4 songs gives this ep it’s intriguing delight. Trillion Red have created songs to be digested thoroughly, then savored and reached for again… and again. With bands that Patrick has looked up to, such as Triptykon/Celtic Frost to Pink Floyd, with Old School Swedish Death Metal, YES, Miles Davis and George Carlin in-between, it is no wonder he has such a savvy grasp on the music he’s created and played on this two tongues ep.